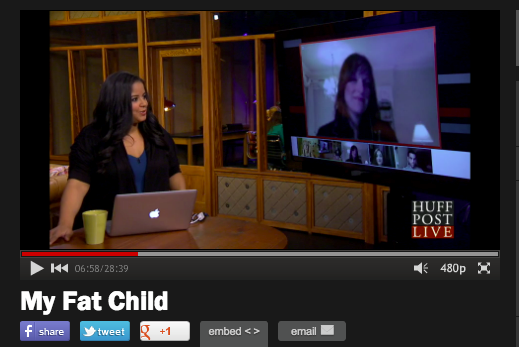 Recently I was invited by Huffington Post Live to talk on the subject of overweight kids, having been one myself and written about it for Babble. The word “overweight” is so delicate, clinical. It doesn’t even begin to describe the reality of a child who lives it. The better word is fat. It’s cruel, it’s mean, it’s in your face. You can hide behind overweight; you can’t escape fat. It was easy for me to be on camera and talk about having been overweight as a kid because people looking at me now wouldn’t necessarily think I have a problem. I went on camera and smiled; I felt confident. 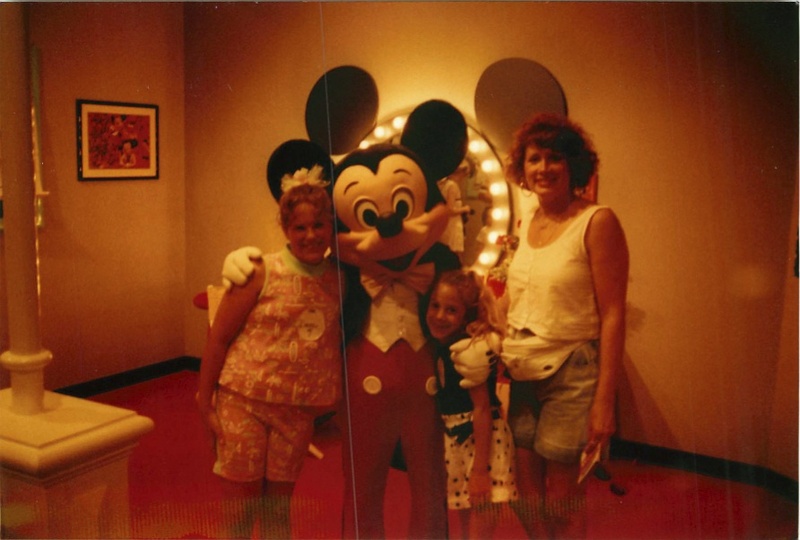 But then there’s this picture with Mickey. I brought it to work to show my co-workers the same week. I posted it on Facebook. When presenting the photo, I felt insecure, scared, ready for the laughs. I knew what would happen when I shared the photo — the same thing that happened when I was a kid. This time no one physically beat me or called me names, but inside I became the scared little girl awaiting judgment; waiting to be rejected based on my looks, my size. I confronted the fear and the uncomfortable feelings because that’s how fear is mitigated. And for so many years of my life I felt ashamed of my “fat kid” pictures, never wanting to share them with friends or love interests. I was ashamed of myself for years because no matter the changes on the outside, inside I’ve always been the same person. That person does not change as rapidly. I empathize with Dara and Bea because my mother and I lived through the same thing, except without the glare of public criticism. I’m happy that we were given an outlet to talk about our experience. I’m proud that I shared this photo. I never fought back as a kid, so I’m doing it now. Plus, if I can’t embrace who I am, how can I expect the same of others? This entry was posted in attitude, pop culture, true story and tagged bully documentary, dara lynn weiss, fat kids, overweight kids, putting kids on diets, the heavy. Bookmark the permalink.